It was so wonderful to be able to get out in the garden, at last. I had no excuses. 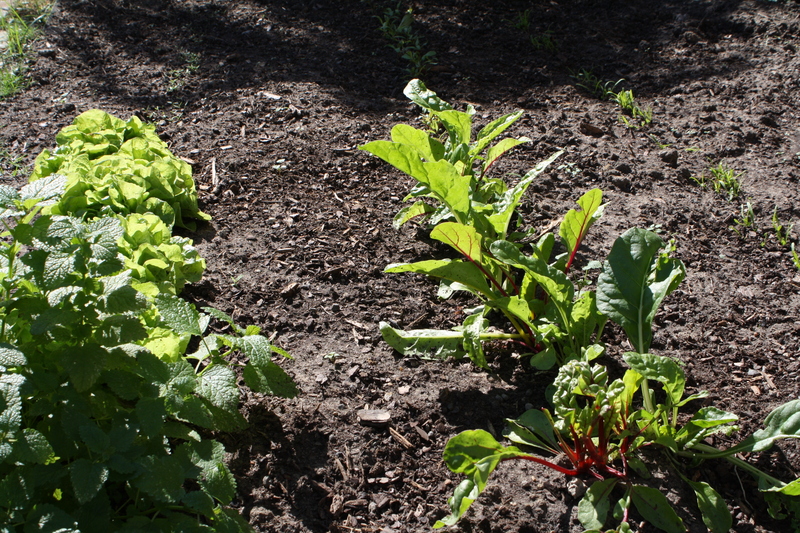 So, I finally planted my beets (Chioggia and Bull’s Blood – nice name huh?) 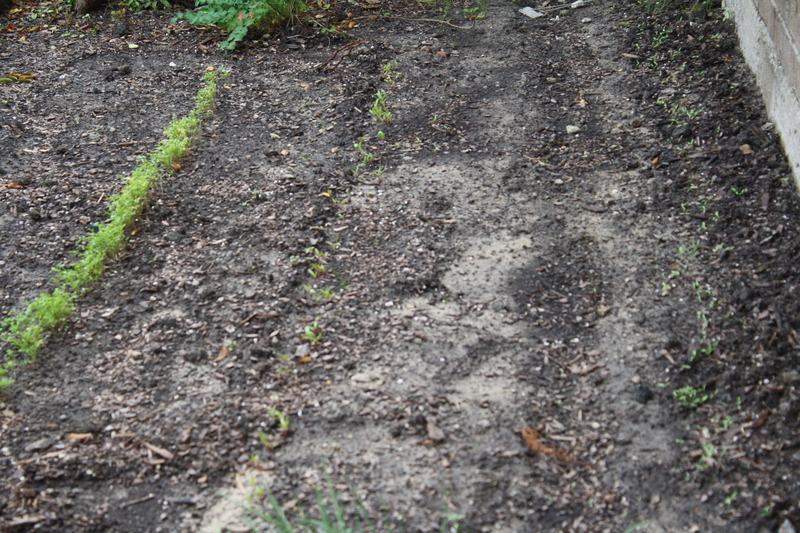 radishes (China Rose and Chinese Red Meat) spinach (Viroflay) and some kale (Russian Red). Lo and behold my parsley has sprouted AND the Tom Thumb lettuce (which I will need to thin when it gets a little bigger). 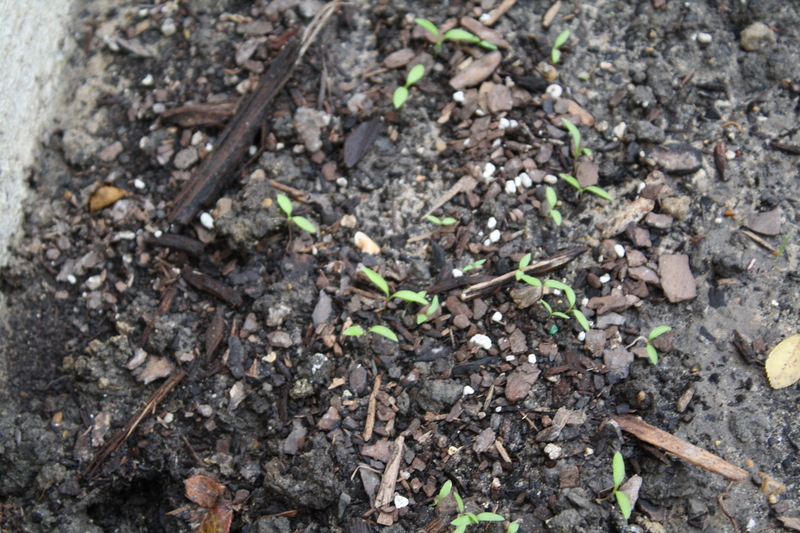 Soon, I will be planting my garlic. I am preparing the soil in that bed, so maybe this weekend. 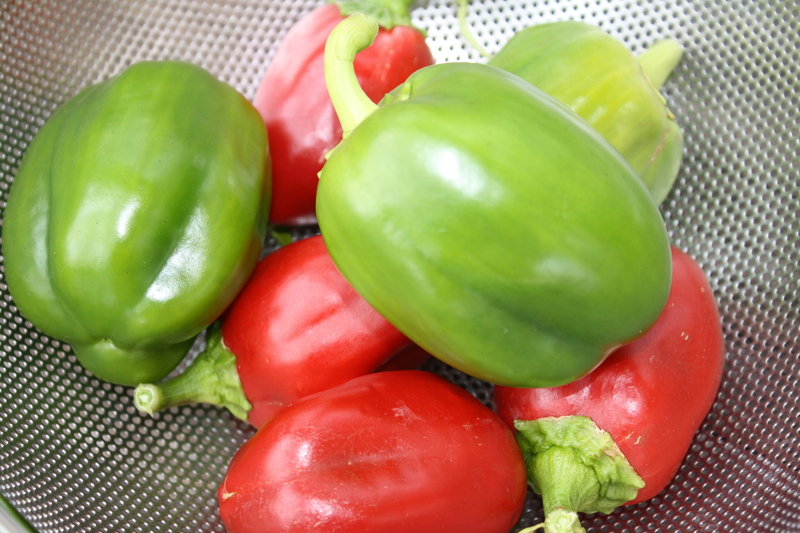 Would you believe I harvested some bell peppers still growing from summer? I couldn’t. I think these may look better than the ones from the summer. Some had been on the vine long enough to turn red. I used them in this recipe for Vermicelli Salad. This pasta salad is delicious and just gets better each day, lasting for about a week. That is, IF it lasts that long. I got the recipe from my mom and have no idea where she got it and neither did she. So if this is your recipe I am giving you credit right now, and thank you. It’s wonderful! Chop these 6 ingredients. Mix and refrigerate overnight. Just before serving, mix all ingredients and blend together with the mayonnaise. 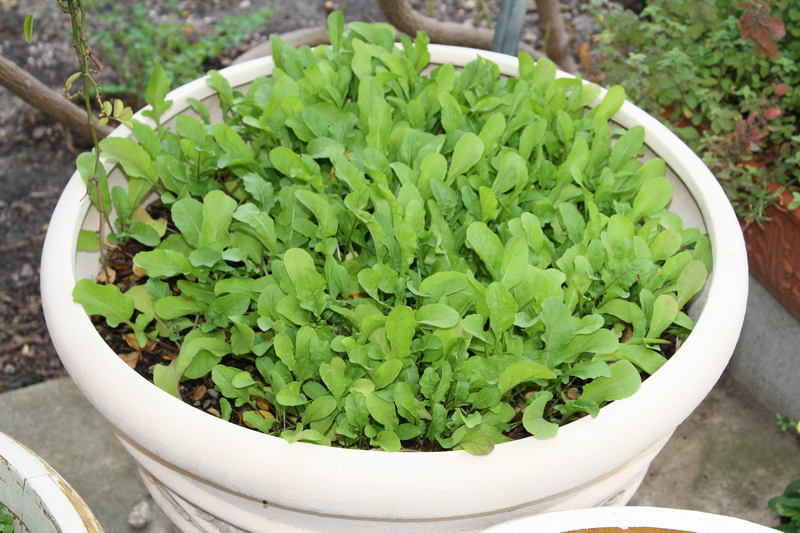 Here are some new photos of the petite rouge lettuce, the watercress, and the arugula. Can’t wait to harvest some!!!!!! 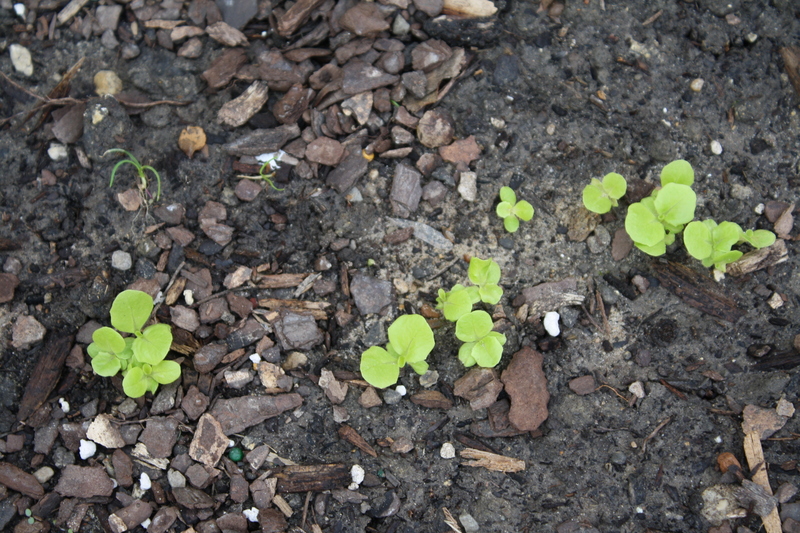 I was proudly showing my sproutlings to my son, who carefully surveyed the tiny growths. He then said, “Good thing we’re not having to depend on this for food”. Smart aleck kid. 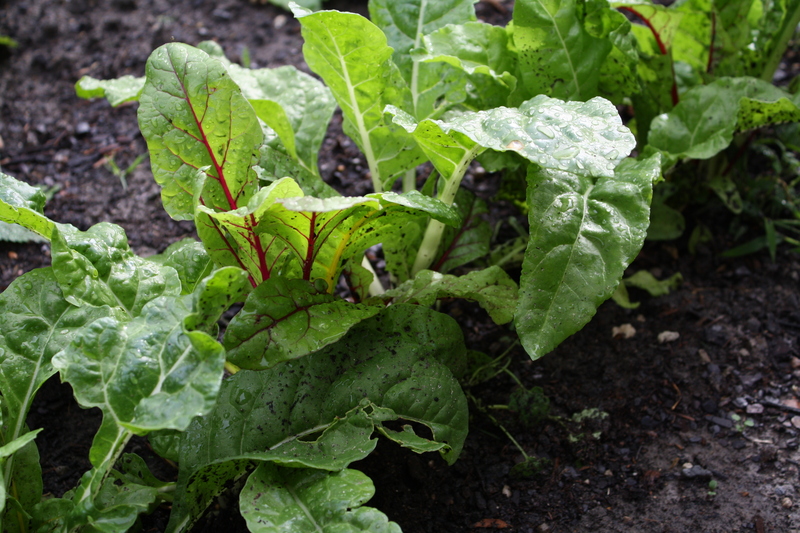 Here is an early picture of my Bright Lights Swiss Chard. 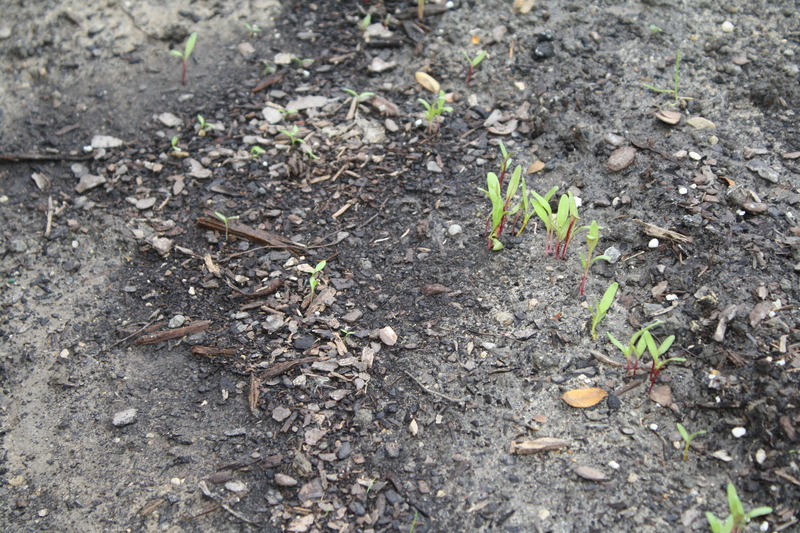 I have found Swiss Chard to be very hardy. 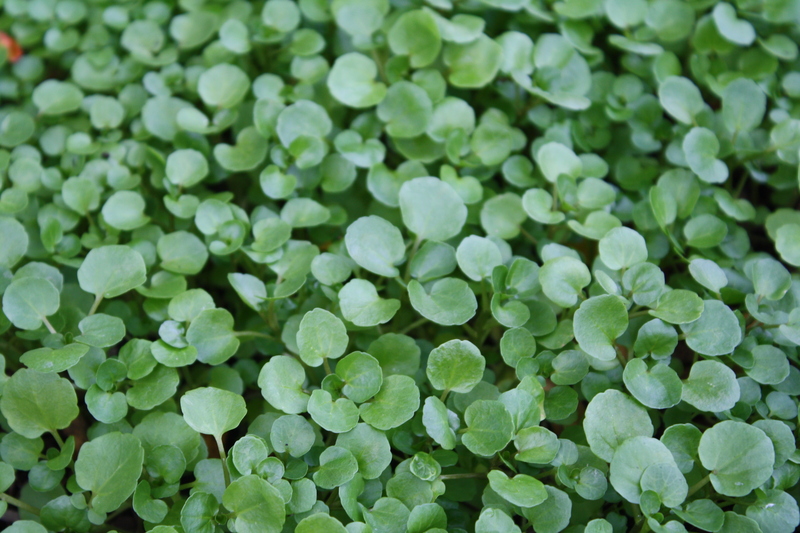 It grows practically all winter in my garden. This little bed is next to the house which I suspect protects it some, but it really likes the cool weather. Last year I planted transplants, but this year I tried seeds. 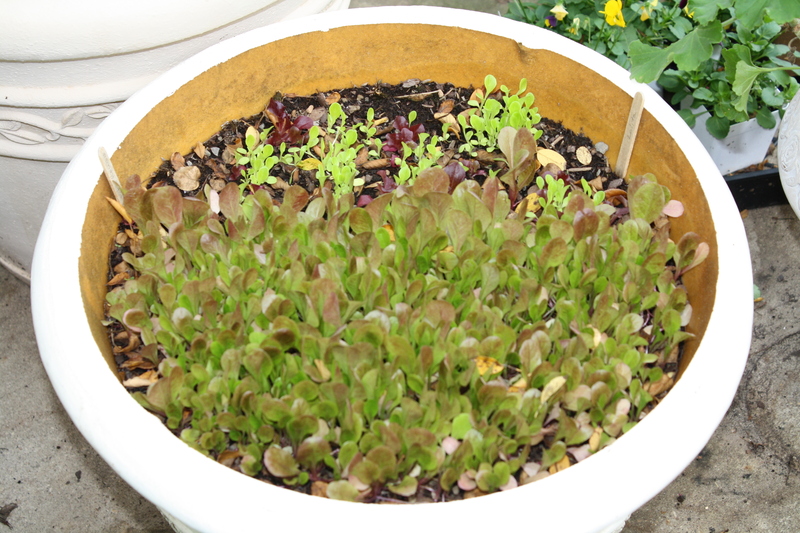 I read that if you plant them close together, then you can just harvest the leaves and they will keep producing. Sounded good to me. I just love the colors of the stems. They are red or orange or light yellow. 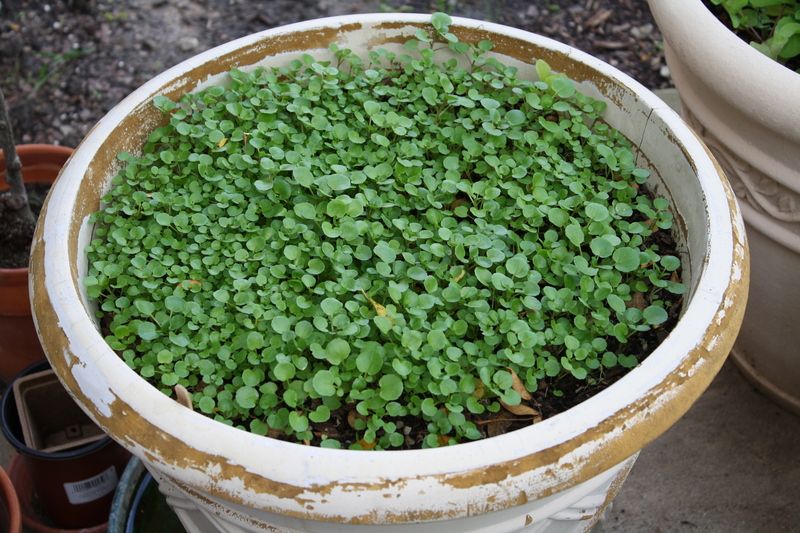 I have even planted a few in the flower bed for some color this winter. I realized after looking back at my posts, there has only been “from garden” not so much “to table”. So I am remedying this oversight right here. 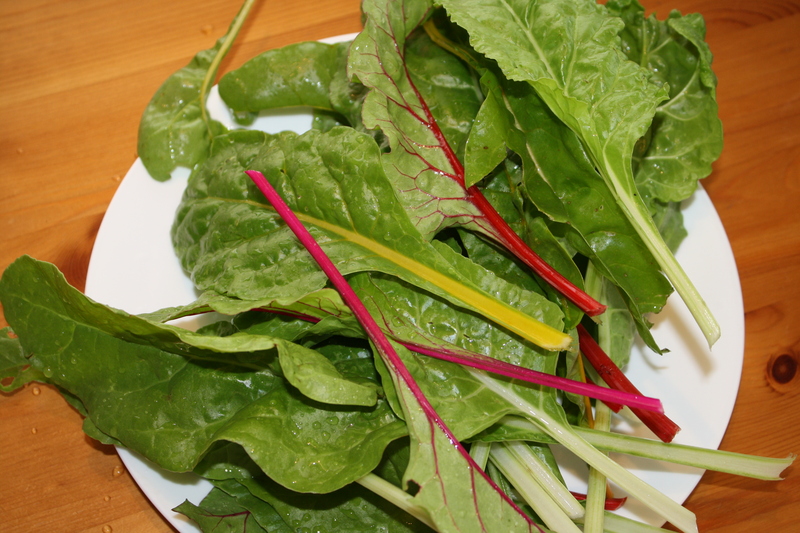 This is a recipe I just love for swiss chard, because it uses both the stems and leaves. It also received a thumbs up from my son who isn’t that crazy about green vegetables. This recipe is adapted from Martha Stewart’s Everyday Food magazine Oct. 2006. Wash chard leaving some water clinging to the stalks and leaves; set aside. In a large saucepan with a lid, toast the pine nuts over medium-high heat, shaking pan to brown evenly, 2 to 4 minutes. Remove from pan; set aside. In same saucepan, heat oil over medium-high. Add stalks, and cook until beginning to soften, about 4 minutes. Add leaves, raisins and garlic. Cover, reduce heat to medium-low, and cook until tender, 6 to 10 minutes, stirring occasionally. Pull lid back slightly, and tilt pan to pour off water. Stir in vinegar and pine nuts; season with salt and pepper. Serves 4.